Are you looking for the best Water Purifiers ? Are you sure Livpure GLO 7 L RO + UV Water Purifier is not available in market? 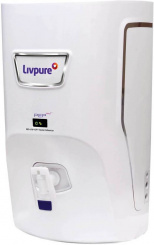 Livpure GLO 7 L RO + UV Water Purifier from Livpure is listed in Water Purifiers category in revaalo. 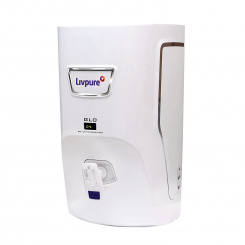 Reviews,Ratings, details and specifications of Livpure GLO 7 L RO + UV Water Purifier. DEAR ALL, IF YOU ARE LOOKING FOR WATER PURIFIER, DON’T BE DECEIVED BY PURCHASING THE LIVEPURE WATER PURIFIER. We are using Livpure at our home from July. No problem till now. Worksfine. Capcity is 7 lt, which if fine for us. Product is good and the problem with installtion poeple and services guys. Product is decent, but after sales service needs real improvements! Bout this from Amazon for 10500. It does not has UF filter, Taste Enhancer is through cartridge - mineraliser. 7 litre capacity is good for home use. Pathetic service.. my unit started leaking after one day of installation it's 7 days no one is addressing the issue. Donot buy this product. Installation guy charged extra for other components. He installed a extra filter of Kent. Electric powered device. capacity is 7 lt. Have been using it for 8 months. Quite good.